In many ways, a trust administration is much like the probate of an estate. In the case of a trust, the creator of the trust is known as the trustor, settlor, grantor, or trustmaker. The person in charge of managing the trust is referred to as the trustee. The main difference between a probate administration and a trust administration is that a trust administration does not require court supervision – so the administration process can sometimes be completed more quickly, is not subject to the prying eyes of the public, and can cost considerably less. If the trust is properly funded during the lifetime of the decedent, there is no need for a marshalling of the assets, as the assets are already titled in the name of the trust. The Successor Trustee can take over the administration of the trust upon the disability or death of the decedent without the approval of the court. If desired, trust assets can be maintained under the umbrella of the trust, providing important divorce protection and creditor protection for the surviving spouse and remainder beneficiaries. If the trust is for a married couple, there may be additional administration required. In some cases, the revocable trust is split into multiple trusts at the death of the first spouse. The A Trust, or Survivor’s Trust, contains the share of the trust assets belonging to the surviving spouse. The B Trust, Bypass Trust, or Exemption Trust, contains the share of trust assets belonging to the deceased spouse that can be passed free of estate taxes. If the deceased spouse’s share of the trust is greater than what can be passed free of estate tax, the excess amount is transferred into the C Trust, Marital Trust, or QTIP Trust. As an alternative to this procedure, an estate tax return can be filed showing the deceased spouse’s assets and “portability” can be claimed. There are pluses and minuses to each option, so be sure to consult with an estate planning attorney who also has a tax background. Fortunately, with the increase in the amount that can be passed free of estate tax, this type of planning and administration can now be avoided in many cases. Again, be sure to consult with an experienced estate planning attorney and don’t just assume the decedent’s estate was not big enough to require this type of planning. After marshalling assets, the trustee must pay all of the decedent’s debts. The balance of the estate can then be distributed to the beneficiaries designated under the trust. The trustee must follow the directions provided under the terms of the trust and cannot distribute funds in a manner he or she thinks is fair, even if he or thinks that the terms of the trust are not what the decedent wanted. Only a court of law can alter the terms of the trust after death. Sometimes there are continuing trusts for minor beneficiaries, disabled beneficiaries, and beneficiaries who the decedent did not believe could manage his or her inheritance. In those cases, the trustee must fund those trusts and turn the administration of those trusts over to the trustee designated under the beneficiary’s trust. If you have been appointed the trustee or successor trustee of a trust, and have never before administered a trust, the thought of doing so can be somewhat daunting. To successfully administer a trust you must have a thorough understanding of the trust purpose and trust terms as well as the state and federal laws that apply to the trust. Given the numerous and varied duties and responsibilities that accompany the administration of a trust, consulting an experienced trust administration attorney is always wise. If you are a beneficiary of a trust and you have concerns with regard to how the trust is being administered by the trustee, you should also consult with a trust administration attorney immediately. As a beneficiary of the trust, you have a number of important rights that a trust administration attorney can help you exercise. 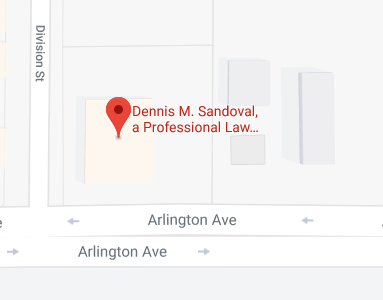 Contact Riverside trust administration attorney Dennis Sandoval at 951-888-1460 or contact us online to schedule an initial consultation to discuss your needs or concerns.